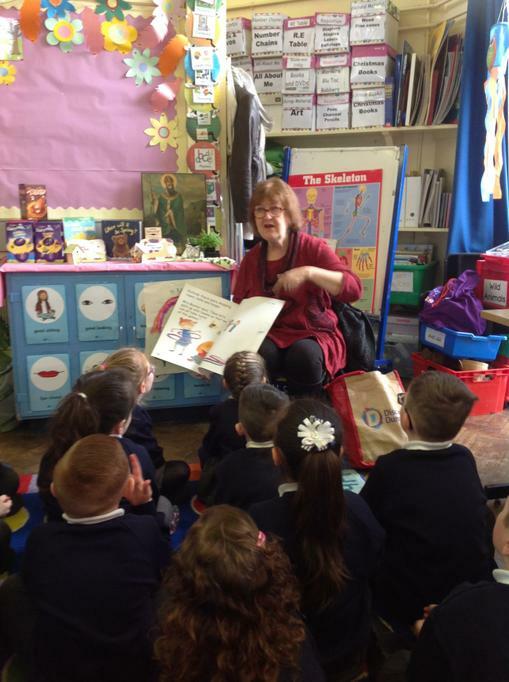 On Wednesday 27th March 2019; World Storytelling Day our parents and primary 2 pupils had the great pleasure of welcoming Liz Weir, Libraries NI Storyteller in Residence, along with her international intern, Rochelle from America. Liz initially met with parents in the Parents room and impressed upon them the need to encourage literacy and language development through storytelling and conversation. 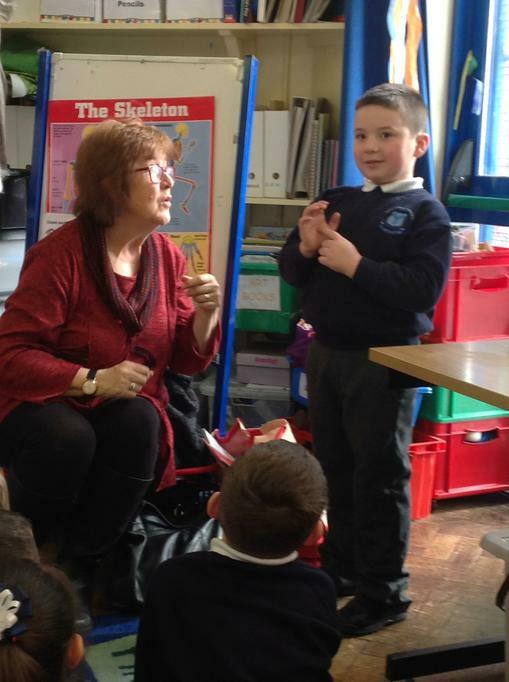 The parents then joined Liz with Miss Cochrane’s P2 class, where they were treated to a fantastic storytelling session. 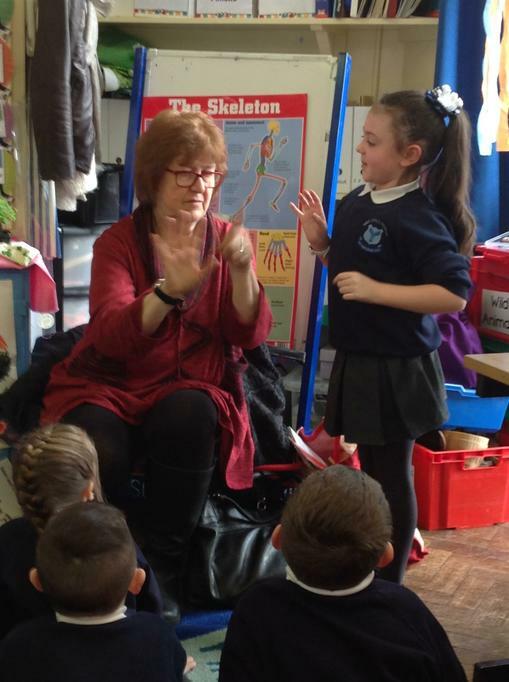 It was great to see good practice and Liz certainly entertained the different generations in the room. 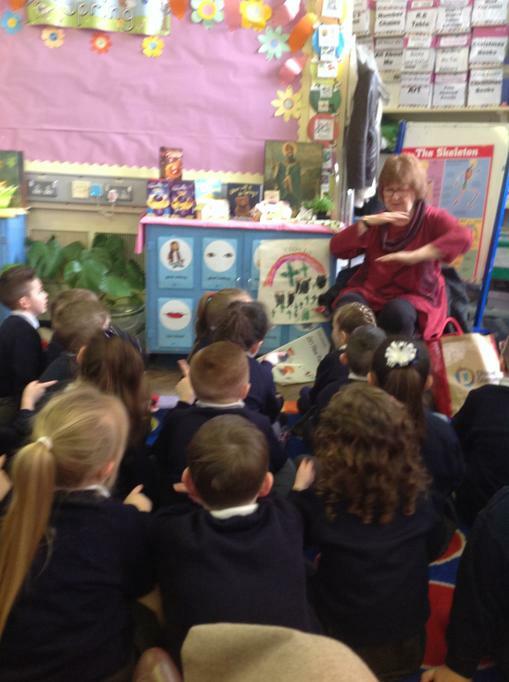 Liz was extremely impressed that our pupils knew lots of fairy tales, following their recent topic. 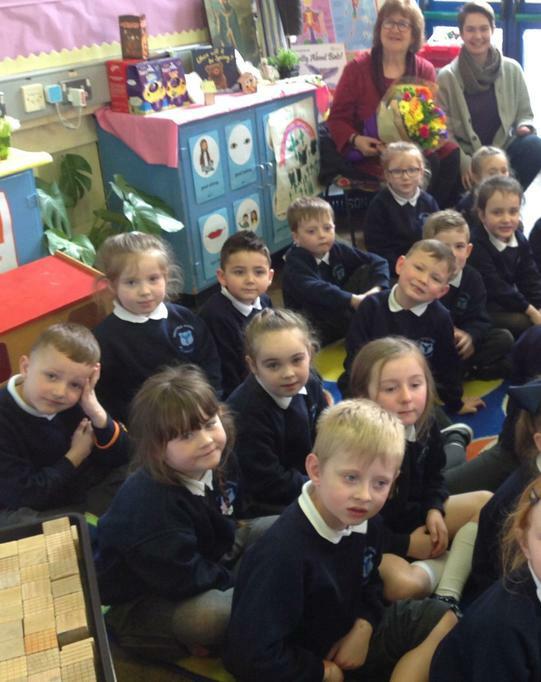 They spoke confidently and with pride about the characters and of course, their very own fairy tale ball. 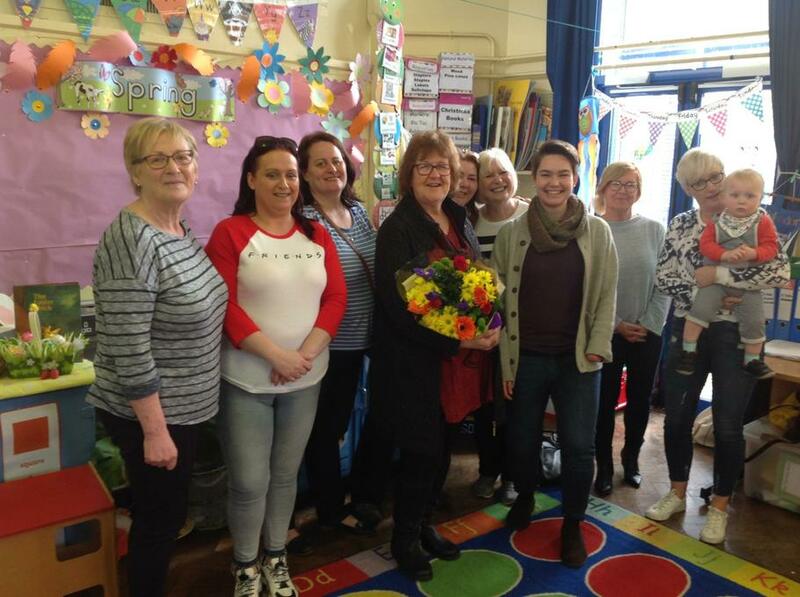 To thank Liz Weir for visiting Holy Child Primary School on International Storyteller Day, she was presented with flowers from the children.